Other Names: "B", Mr. B, "Killer Bee"
- Mid-South Superdome Extravaganza (July 22, '78) = Blair was beaten by Bobby Jaggars. - NWA World Junior Heavyweight Title Tournament (February '80) = Blair lost in the semi-finals to the eventual winner, Ron Starr. - WWF Wrestlemania II (April 5, '86) = Blair competed in a Battle Royal, which was won by Andre the Giant. 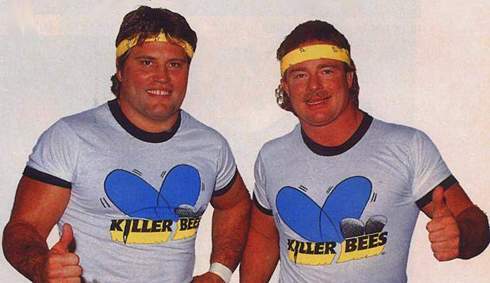 - WWF The Big Event (August 28, '86) = The Killer Bees (Blair & Jim Brunzell) beat Jimmy Jack & Dory Funk. 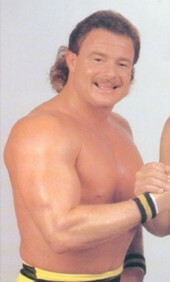 - WWF Saturday Night's Main Event #10 (February 21, '87) = Blair competed in a Battle Royal, which was won by Hercules. - WWF Royal Rumble '88 (January 24) = Blair competed in the Royal Rumble, which was won by Jim Duggan. - WWF Wrestlemania IV (March 27, '88) = Blair competed in a Battle Royal, which was won by Bad News Brown. - NJPW 20th Anniversary Show (March 1, '92) = Blair defeated Michiyoshi Ohara. - NJPW Budokan Hall (June 26, '92) = Killer Bee & Scott Norton fell to Samu & Kokina.